David Weisburd is Distinguished Professor of Criminology, Law and Society at George Mason University (and director of the Center for Evidence Based Crime Policy). 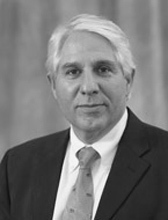 He also holds a joint tenured appointment as the Walter E. Meyer Professor of Law and Criminal Justice at the Hebrew University, and serves as Chief Science Advisor at the Police Foundation in Washington, D.C. Weisburd is an elected fellow of the American Society of Criminology and of the Academy of Experimental Criminology. He is a member of the Science Advisory Board of the Office of Justice Programs, the Steering Committee of the Campbell Crime and Justice Group, and the Scientific Commission of the International Society of Criminology. He is also Chair, of the Committee on Proactive Policing of the National Academy of Sciences (USA). Weisburd is one of the leading international researchers in crime and justice. He is the author or editor of more than 25 books and more than 175 scientific articles that cover a wide range of criminal justice research topics, including crime at place, white collar crime, policing, illicit markets, terrorism, criminal justice statistics and social deviance. Weisburd is the recipient of many international awards for this work including the 2010 Stockholm Prize in Criminology, the 2011 Klachky Family Prize for the Advancement of the Frontiers of Science, the Sutherland Award (2014) and Vollmer Award (2017) from the American Society of Criminology, and the 2015 Israel Prize. Weisburd is Honorary President of the Israeli Society of Criminology, and is General Editor of the Journal of Quantitative Criminology. The MacNamara Award for Outstanding Journal Publication, Academy of Criminal Justice Sciences, 2016. For: How much time should the police spend at crime hot spots? Justice Quarterly 31:5, 2014. Telep, C. W., Mitchell, R. J., & Weisburd, D.
Law and Society Association Article Prize, 2008, For: Making Sense of COMPSTAT, Law and Society Review 41:1, 2007. James Willis, Stephen Mastrofski and David Weisburd.